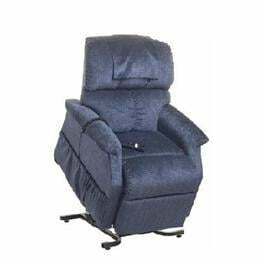 With a fashionable design, comfortable padding in the chair its easy to fall in love with this product. Available color: Admiral Blue. Easily raise to a standing position. Gently lower to a seated position. SmartTek™ Inside: Patent pending diagnostic system. Non-Skid leg levelers for extra stability and safety. Easy access battery back-up system.